the quality control of every item that goes out to the customer. 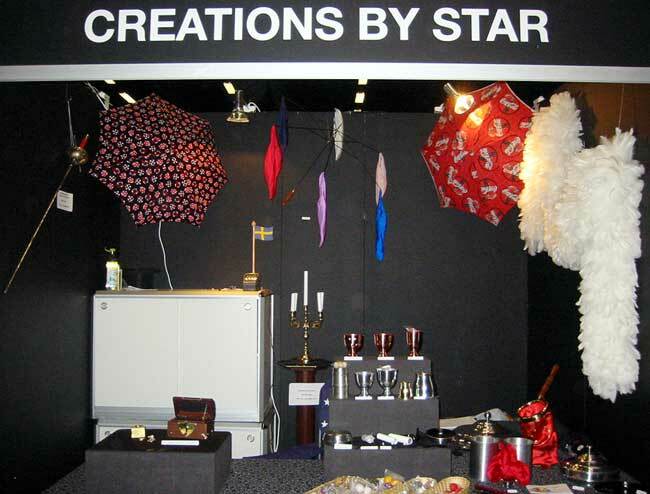 Creations By Star is a family run business. Our workshop is located in Sweden and we are very excited to offer our products to customers all over the world. We takes great pride in all of our products and strive to create the best quality available. Tim Star has always designed and made all the props he used in his shows and is still creating specialty magic props for himself and other magicans. Here are some of his beautiful creations. They are not for sale. For more information about having your dream effect made contact us. A beautiful large Brass Candelabra on a pedestal suddenly explodes and automatically all the candles lights up. The candelabra is covered with a cape, the candles can be seen through the cape, still burning. The candelabra is then picked up with one hand and tossed up in the air, the candelabra is gone. This original Tim Star effect was made 1985. 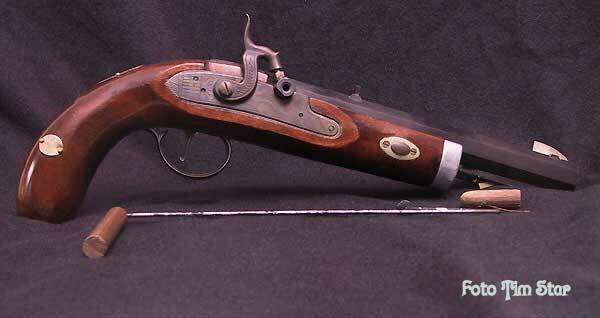 2 silks are magically produced, one at the time on the tip of a sword. 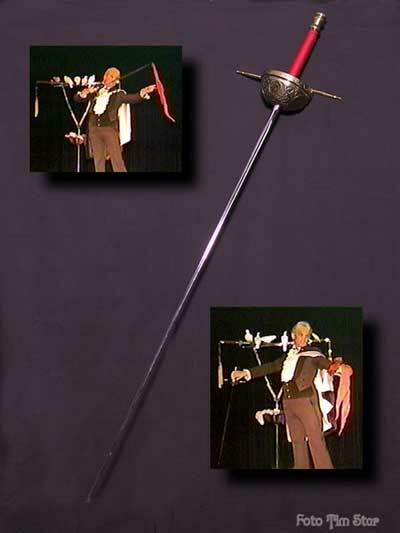 A beautiful handcrafted sword that can produce 2 large silks at anytime in the show. And from the silks a small parrot was produced. A beautiful original Tim Star effect. Made 1984.